Amy Upholz is a native of Sarasota, Florida. She is a graduate of Booker High School's Visual Performing Arts Dance program. Dancing fueled her appreciation the human body's potential and innate sense of healing. 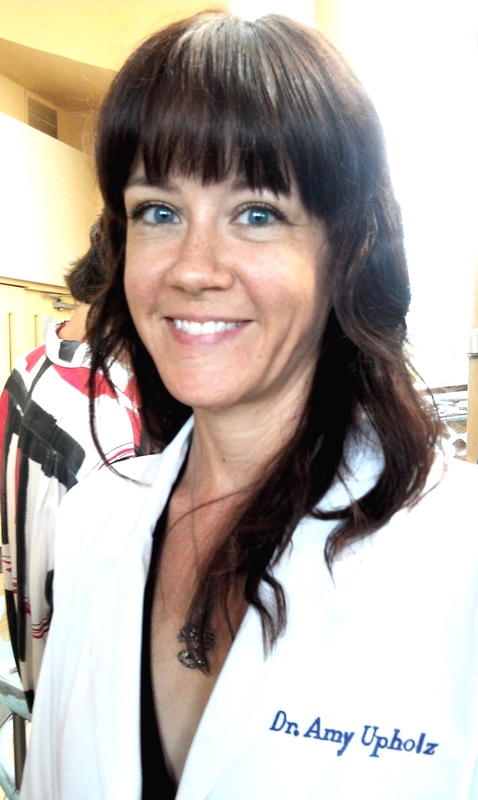 Amy then went on to a 17/year massage therapy career after graduating from Sarasota School of Massage Therapy. Upon receiving a couple of acupuncture treatments, she realized this was the next step in her evolution to facilitate others health and wellbeing. Amy has a Bachelors degree in Alternative Medicine and a Masters of Science in Oriental Medicine from East West College of Natural Medicine. She is now a Diplomate of Acupuncture, Acupuncture Physician, licensed by the NCCAOM. Her goals are to educate those who wish to learn about healing opportunities. Through acupuncture modalities, herbs, breath-work and sound healing, the body can relax. True relaxation is the first step toward healing. Amy participates in each patient's progress as an individual. She is focused on directing the course of treatment in a holistic manner, through reintegration of muscle relaxation, freeing up acupuncture meridians, eliminating pain, and guiding patients towards a better way of living with nutrition and exercise.